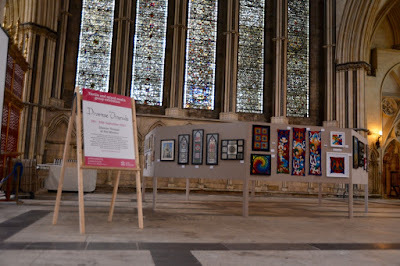 Our exhibition in York Minster is now installed. This image shows the North Transept with the Five Sisters window, with our work displayed in front of it. There has already been a very positive response to our work. For opening times and Minster admission charges, do go to their website.